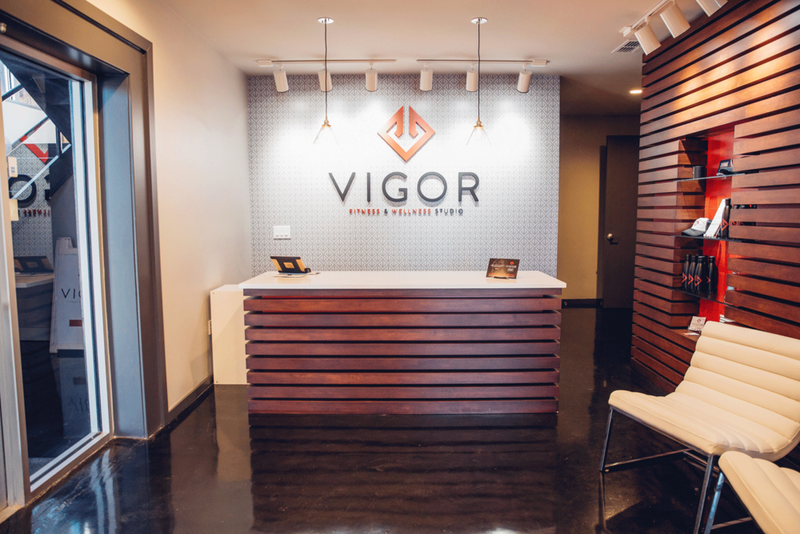 Vigor Fitness and Wellness Stuido was the tenant build for a small fitness boutique. The fitness components that were included were a running area, weight area, specialized weight equipment and a separate enclosed studio for yoga, ballet and cycling classes. There were also bathing facilities for users after their workout and a massage room. Support spaces, such as entry and manager’s office, and kitchen were also included in renovation.